Situated in the northern state of Uttarakhand, Rishikesh is a small city in the Dehradun district. With the holy River Ganges coming down from the range of Himalayas, this town is a doorway to the upper region of Garhwal and the opening point of the Char Dham pilgrimage. This pilgrimage is mostly visited by tourists not only as a holy shrine but also as place for adventure, meditation and yoga. At one side this town is allied with Lord Rama and Laxman and on the other, the renowned western music band Beatles visited Maharishi Mahesh Yogi’s Ashram. 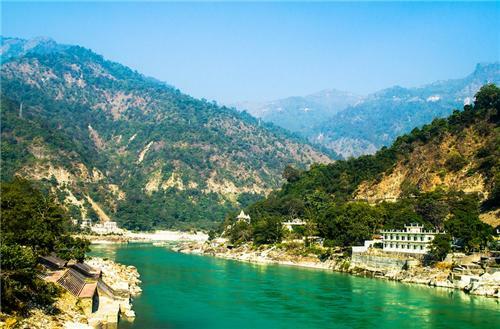 Also famous as the Place of Sagas, this holy town Rishikesh is at a distance of 24 kilometres from Haridwar. It is between the convergence of Chandrabagh and Ganga with mountains and valleys surrounding it from the three sides. With a belief that meditation at this place shows you the way to deliverance, this town is one of the most sacred tourist destinations. There are numbers of temples built around the banks of Ganges along with ashrams of the Sages. Rishikesh is also the home to 8th wonder of the world – Valley of Flowers National Park. Not only considered as a holy pilgrimage, Rishikesh is now turning to be a great adventure site. This is because of the trekking voyages that adventure seekers take to the Himalayan range or the river rafting in the Holy Ganges. Being a dry city (non-alcoholic) and extremely conscious about its environment, Rishikesh organizes an International Yoga week for the tourists in February every year. Here are some of the well known tourist attractions of Rishikesh. Triveni Ghat: This ghat is the confluence of the sacred rivers Ganges, Yamuna and Saraswati and is a famous bathing spot for tourists. It is believed that one who takes a dip in this holy river is said to have washed away all his sins and attained salvation. Every morning and evening, thousands of pilgrims are seen dippin into the water and enjoy the main attraction of the ghat – the Maha Aarti. Trayambakeshwa Temple: A home to different divine beings, this 13 story high temple is built on the eastern bank of the Ganges at the Laxman Jhula Bridge. Neelkanth Mahadev Temple: This temple devoted to Lord Shiva is situated on the outskirts of Rishikesh at a distance of 12 km. It is also known as Nilkanth Mahadeo and is at the apex of the hill at a height of 1675m. This is so called because it was believed that Lord Shiva had oozed out all the venom during the Samudra Manthan. River Rafting is another popular tourist activity which one should not miss while in Rishikesh. Rishikesh offers its tourists the experience of enchanting and mesmerising views all round the year. The pleasant weather and the scenic beauty make it a popular tourist destination throughout the year. Still every place has a particular time to visit because of its history attached to it. Similarly, the best time to visit Rishikesh is in the month of February, March, August-October. Well connected via roads, rail and air, Rishikesh can be reached by everyone without any hassles. Car: If you are taking a personal ride to the city, then you can drive from Delhi airport to Rishikesh without any trouble. This is a 6 to 7 hour journey but an experience one will remember for life. Airport: The nearest airport is the Dehradun’s Jolly Grant airport. Situated at a distance of 15 km, many important flights like Air India, Kingfisher, Indian Airlines, etc fly via this airport. Train: You can also visit the place via rail. There are three trains from Haridwar to Rishikesh thus, it is advisable to take train till Haridwar and then travel via road. There are many trains connected to the Haridwar Railway Station from the other important stations like Delhi, Varanasi, Rajasthan, Amritsar, etc. This mode of travelling is recommended as the train mostly runs empty and also has low fares. From the Haridwar railways station, you can hire cabs and buses to reach Rishikesh or travel via the Ram and Laxman Jhula. Road: Via road, it takes 5 to 7 hours for a bus to reach Rishikesh from Delhi, situated at a distance if 230km. If you are travelling by cabs and taxis, you may reach 5 to 7 hours to reach Rishikesh depending upon the traffic. Among the places of pilgrimage in the holy city of Rishikesh, the oldest temple is the Lakshman Temple. As the name says, this temple is devoted to the younger brother of Lord Rama, Lakshman and is located at 5 kms from Rishikesh. This temple is built on the right side of the holy Ganges. The history behind this intriguing temple is very enchanting. 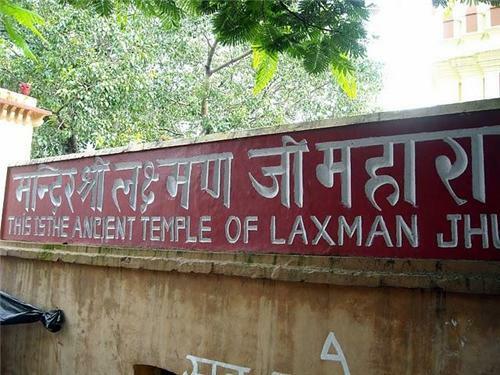 The temple along is named after Lord Lakshman because it was believed that Lakshman did self-punishment at this place when he killed Indrajit at war. It was also known that Lord Rama and Lakshman created a bridge to open a way to the Himalayan ranges and later it was coined as the Ram Jhula and Laxman Jhula. The temple is constructed with impressions and paintings on its walls that illustrate the famous pictures of the war. The main statue of the Lord Lakshman is a unique structure and is witnessed by many tourists everyday. The place was a major centre for the lord to meditate and practice spiritualism. The main tourist spot of the temple is the Rishi Kund where both the brothers have believed to take a dip in the holy water. This was done to wash off their sins after killing Ravana, the king of demons. Apart from these reasons the temple is also famous for the nearby attractions that attract many tourists like the other holy shrines and the Ram and Laxman Jhula. With the nearest railway station being the Rishikesh railway station and the nearest airport being the Jolly Grant Airport, tourists from across the world can visit the temple by taking a sharing auto-rickshaw or by walking by the Laxman Jhula. Here are some of the hotels near Lakshman Temple.